Today’s visit of Russian Foreign Minister Sergey Lavrov to Georgia’s Abkhazia severely angered Tbilisi and attracted international attention. Lavrov’s frequent visits to the occupied region are mostly seen as more Russian provocation towards Georgia. On Tuesday, Russian Foreign Minister attended the opening ceremony of the so called Russian embassy in Abkhazia’s capital of Sukhumi. He made several provocative statements about the “forever lasting” friendship of Russia and Abkhazia and “joint efforts for fight for justice”, which apparently displeased Georgian officials. Doubtlessly Russia is acting like a true diplomatic friend to Abkhazia. It recognized Abkhazia and another breakaway region of Georgia, South Ossetia, as independent countries after fighting a five-day war against Tbilisi in 2008. Other than that, Abkhazia doesn’t have many friends to host in the Embassies, because only a handful of countries followed Russia’s suit, while the vast majority consider that Abkhazia and South Ossetia are still regions of Georgia. To be exact, only Nicaragua, along with Russia, recognized Abkhazia after the Russo-Georgian War (Venezuela and Nauru in 2009, the unrecognized republic of Transnistria and South Ossetia in 2006). In reality, Russian intervention in Abkhazian politics has longer roots. 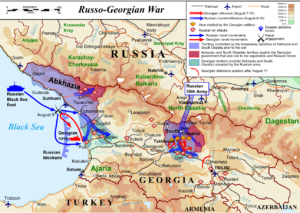 A 1992-1993 war between Georgia and Abkhazian separatists resulted in Abkhazia gaining de facto independence, Russia has been involved in Abkhazian politics since then. 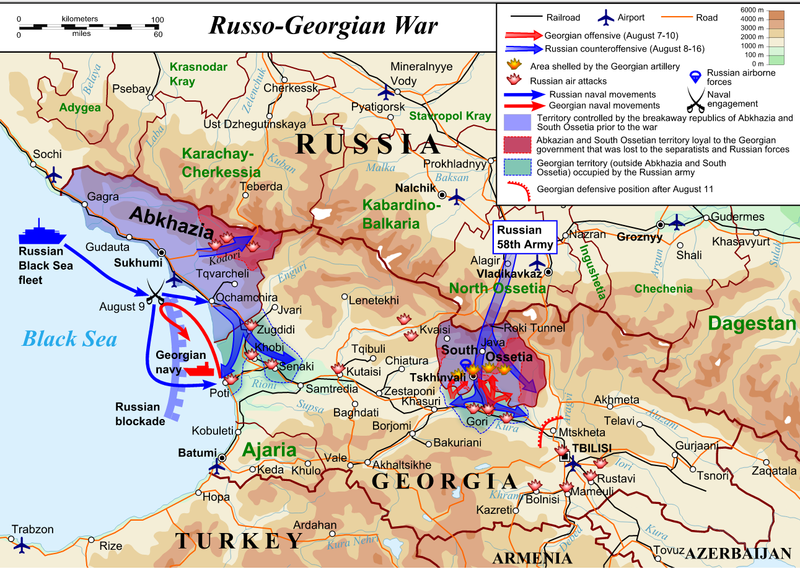 Nevertheless, a 2008 war between Georgia and Russia resulted in Russia recognizing Abkhazia and South Ossetia. By recognizing de facto independence, Russia is giving the Abkhazian authorities the ability to control the flow of goods and people across what it sees as an internal border. Georgia, for its part, in the hope of convincing them to rejoin Georgian territorial integrity, offers Abkhazians access to services like education, healthcare and employment. The pro Russian government of so called Republic of Abkhazia is known for its supportive approaches towards Russian intervention. “Today crowns a long journey that the embassy has traveled since its establishment,” Russian Ambassador to Abkhazia Semyon Grigoryev said during the opening ceremony of The Russian Embassy today. He praised the date when Russia had recognized Abkhazia’s independence on August 26, 2008. This is exactly when Georgia cut all the diplomatic relations with Russia after it recognized Abkhazia and South Ossetia. Neglecting international pressure, Moscow maintains military troops in both regions still today, occupying more than 20% of territory of Republic of Georgia. 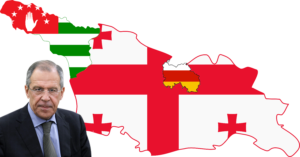 The Georgian Foreign Minister, Mikheil Janelidze, said in a statement this morning that Lavrov’s arrival in Abkhazia, by neglecting the Georgian state border, and opening an illegal diplomatic representation of Russia in the occupied region of Georgia, is a gross violation of Georgia’s sovereignty, territorial integrity, and the fundamental principles of the international law. “This represents a continuation of Moscow’s provocative policy against the state of Georgia, which aims to legitimize the violent change of borders of a sovereign state though ethnic cleansing and military occupation”, the Georgian Foreign Ministry said. Without consolation, Tbilisi regularly calls on Russia to stop its “provocative actions”, and show respect for the territorial integrity of the sovereign state, but as Georgia takes further steps to NATO and EU integration, Russian provocations have no limits. Georgian policies towards the EU and NATO evidently angered the Kremlin. The results are easy to foresee: more provocations from Russia to come and Tbilisi will be locked in a bitter political struggle with Moscow, with no choice but to accept harsh punishment for the country’s pro-Western agenda. Prior to the 1992 War, Georgians made up nearly half of Abkhazia’s population, while less than one-fifth of the population was Abkhaz. As the war progressed, confronted with hundreds of thousands of ethnic Georgians who were unwilling to leave their homes, the Abkhaz separatists implemented the process of ethnic cleansing in order to expel and eliminate the Georgian ethnic population in Abkhazia. Roughly up to 250,000 ethnic Georgians were expelled from their homes. Slightly over 200,000 Georgians remain displaced from their homes still today.